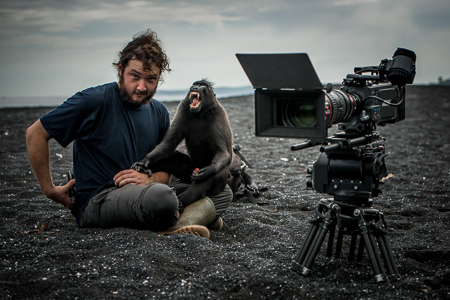 Dave Mothershaw is a British camera assistant/second camera operator working primarily on high-end natural history documentaries. He has spent most of the past twelve months underwater shooting stills and 4K motion for a range of productions. He has a Masters degree in Aerospace Engineering but decided to leave that path in favour of working outdoors in the wild places, although he still spends a lot of time tinkering in the workshop. He is a passionate conservationist, underwater explorer and photographer: some of his most recent photographic work can be seen in the Stills section on this website. When he’s not working, Dave relaxes by exploring sunken shipwrecks and underwater caves.